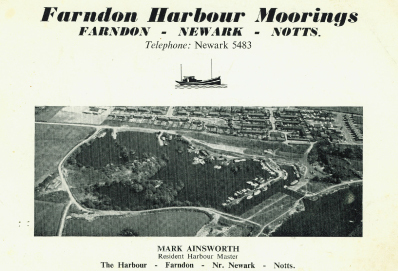 1966 Mark Ainsworth | Where the vision for Farndon Marina began. 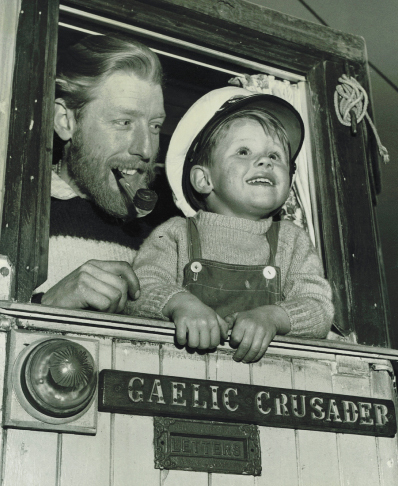 1st Reception | The early days saw T&C's on a board! 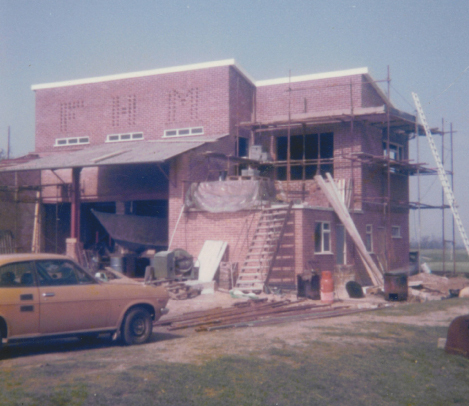 Staythorpe powering away in the background..
Mark & Paul Ainsworth | The beginning of their adventure. 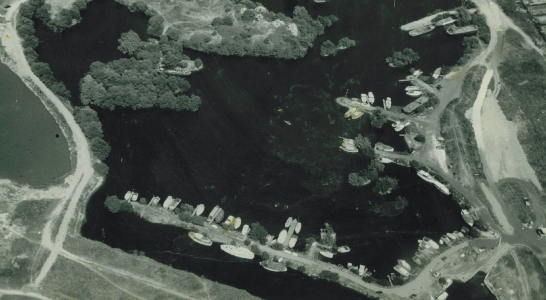 Farndon Marina from the skyA birds eye view of the Marina circa 1968. 1st bridge nearing completion...Bridge completed allowing for larger boats to gain access to the Marina. 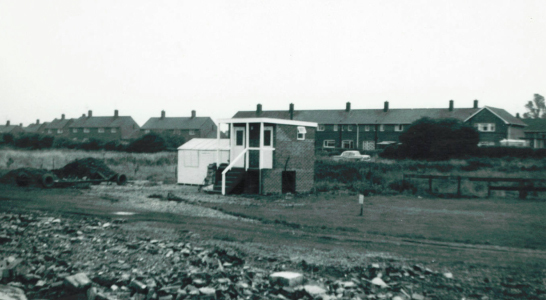 1st toilet block 1968 A welcome relief for boaters at Farndon! 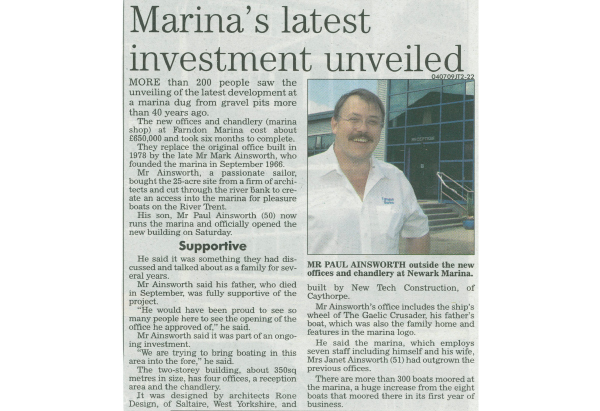 Mark and Jane Ainsworth | With the Marina development well underway, teamwork helped keep plans on track. 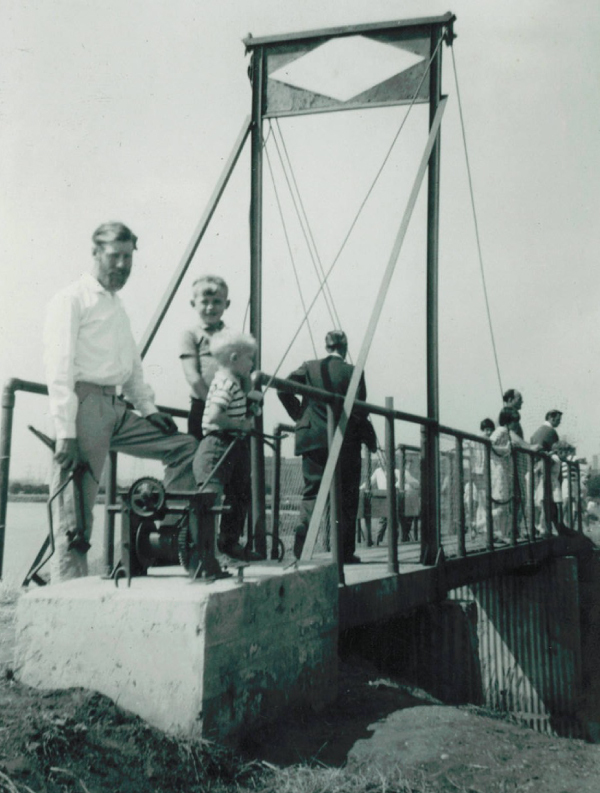 Mark Ainsworth and Sons | Mark teaching his sons the trade of hand cranking a bridge! The marina bridge could be easily raised to allow taller boats into the Marina, another first on the River Trent! 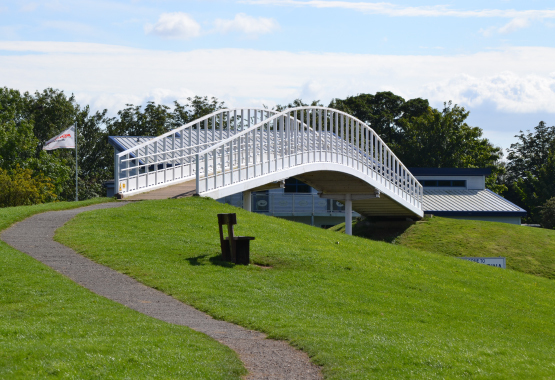 A grand 2nd bridge The second bridge built at Farndon Marina became a local landmark during the 70's. 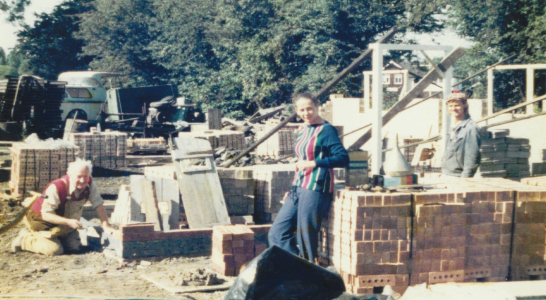 The foundations for a new office are struck!As part of the growth at Farndon Marina a new office was constructed to house the expanding team. 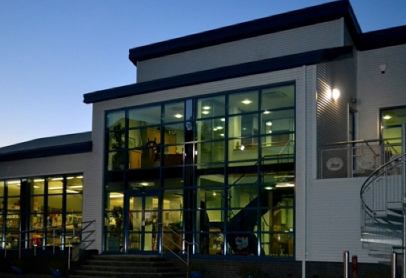 Modern and spacious for it's time the office stood out within the industry - another first for the East Midlands boating community. 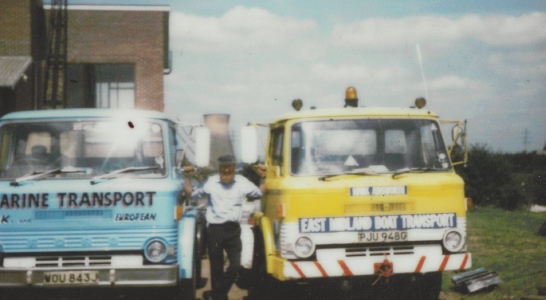 East Midland Boat TransportThe trucks of Farndon Marina, affectionately named Betsy & Suzy by the children, were instantly recognisable and well known across the UK marine industry. 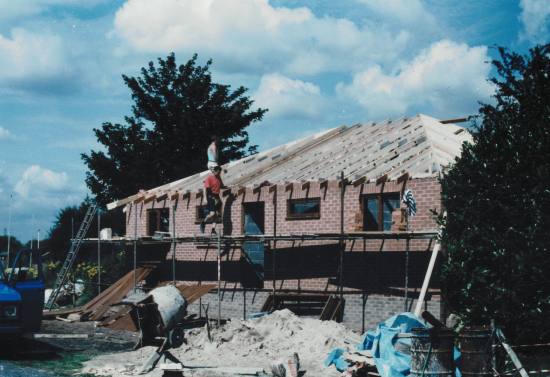 A new Toilet & Shower block in 1993 saw the investment in a modern facility block. Combining toilets, showers and laundry all under one roof. 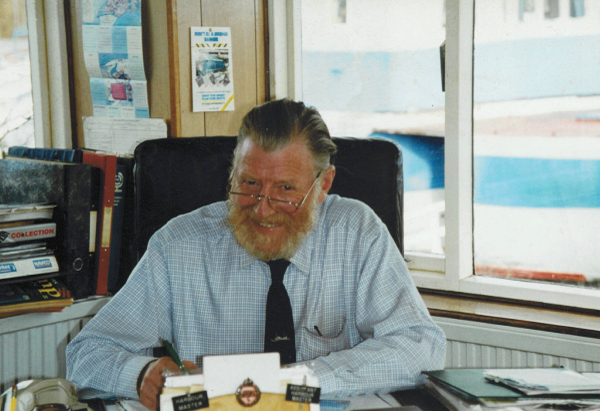 Mark Ainsworth happy at the helm of Farndon Marina. 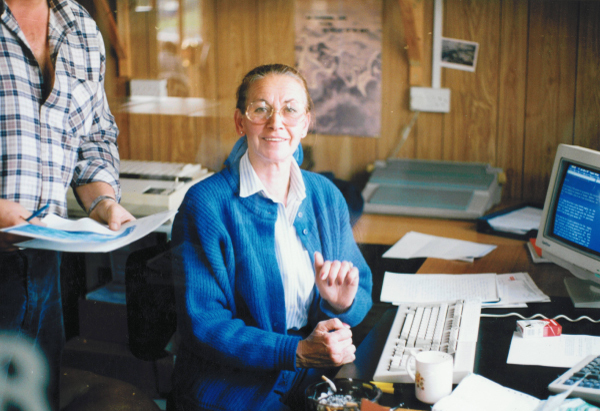 Jane Ainsworth utilising the technology of the day to keep the business running smoothly! Office nearing completion | The fascia represented a very personal design by Mark Ainsworth - FHM - Farndon Harbour Moorings. 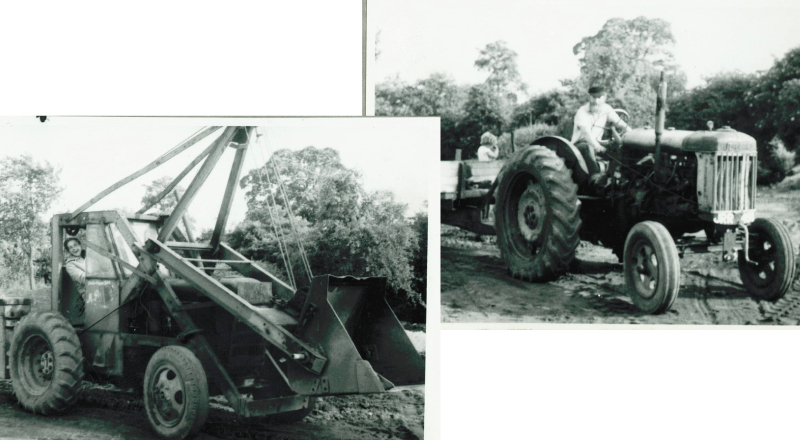 The dredging of the Marina helped ensure great access was maintained for customers. It also contributed towards the basin expansion for the installation of new pontoons.. This is a great overhead view of the Portable toilet/shower block (with heating!) 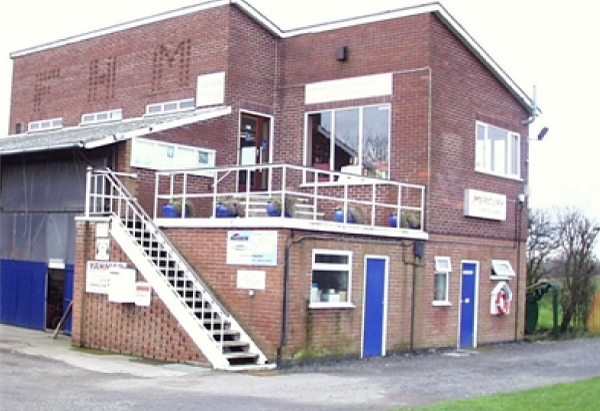 installed to accommodate the ever increasing customer base at Farndon Marina. The busy, productive workshop at Farndon Marina. 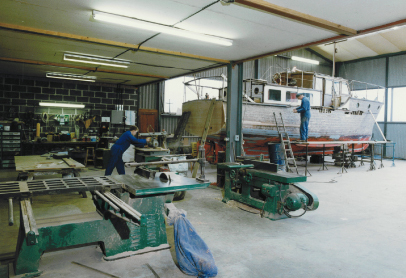 Today the workshop provides services for GRP and Steel boats; along with a whole host of Mechanical & Electrical repairs and installations. 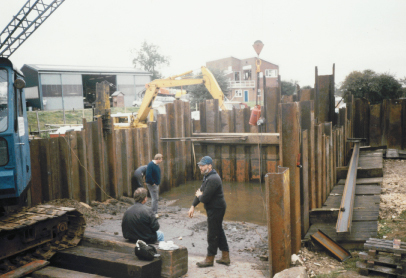 1992 saw the new slipway.With boats increasing in size and weight the decision was made to upgrade the already substantial slipway facility. 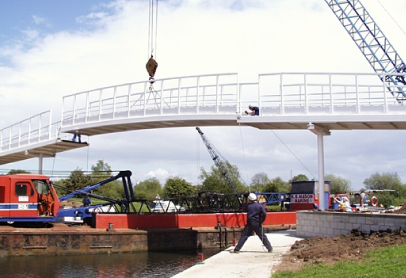 2001 Iconic Bridge Installation.Farndon Marina has always stood out amongst its competition. With this major bridge development our Marina secured it's place as a leader for the boating & local community on the Trent. 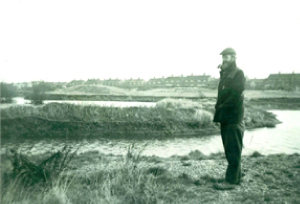 One of the few privately owned access bridges in the UK, the Farndon Marina landmark is a true legacy for the future. 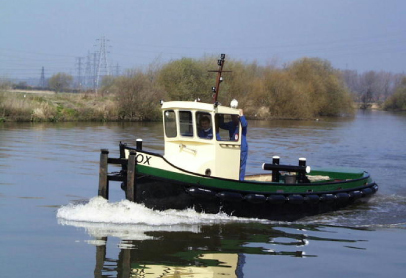 OX - A Tug with attitudeNimble, swift, pretty - not words you would usually associate with a working Tug! 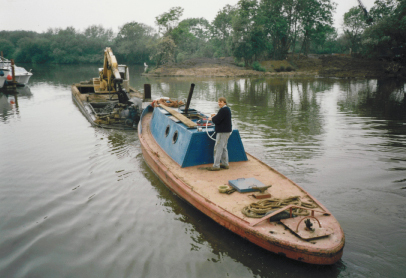 This little boat has now been in service for over a decade at Farndon Marina - and is a force to behold when it's called into action! 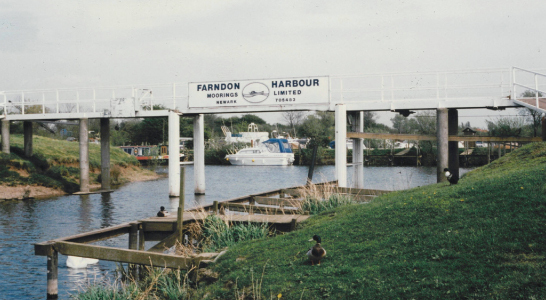 Early 2004 saw a big push in the upgrading and development of many of the pontoons across Farndon Marina. 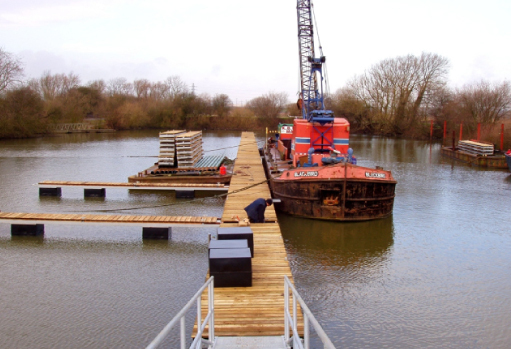 The floating pontoons provide safe secure moorings regardless of how much the water rises on the Trent! 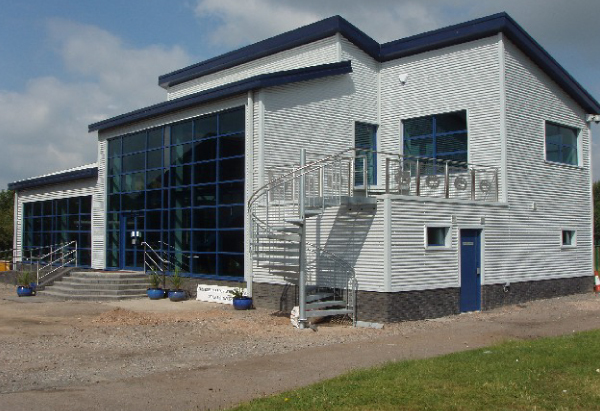 2008 sees a brand new office - The biggest single investment by Farndon Marina owners into the future of the brand now synonymous with quality. A proud Paul Ainsworth | The new office and chandlery attracted a lot of attention locally and nationally. 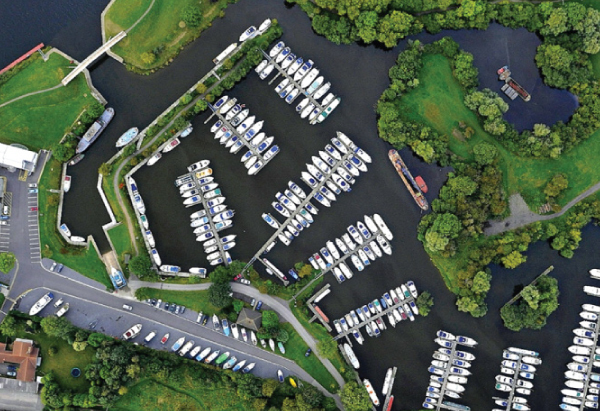 You can see the impressive scale of Farndon Marina when you view from the air! This aerial shot clearly shows the open spaces that boaters here enjoy and the ease of access out onto the River Trent. A serene setting.The expansive marina office clearly complements the sweeping lines of the elegant bridge on the river front. 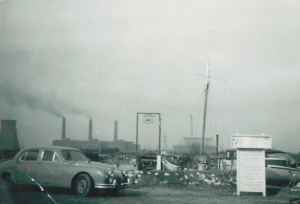 A landmark for all boaters on this stretch of the River Trent. 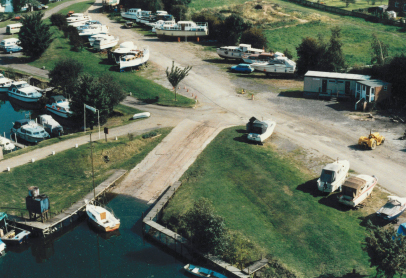 Outstanding brokerage.The extensive brokerage facilities at Farndon Marina attracts customers from across the UK. 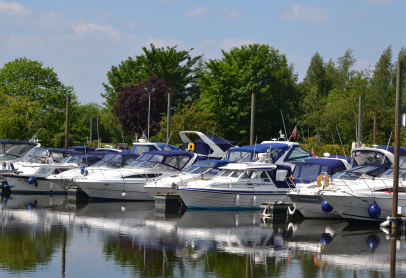 The atmosphere here is peaceful and relaxed, with a great choice of new and used boats for sale. 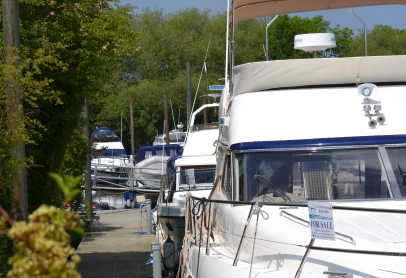 Peaceful moorings.Spacious pontoons provide easy access for a wide range of boats. 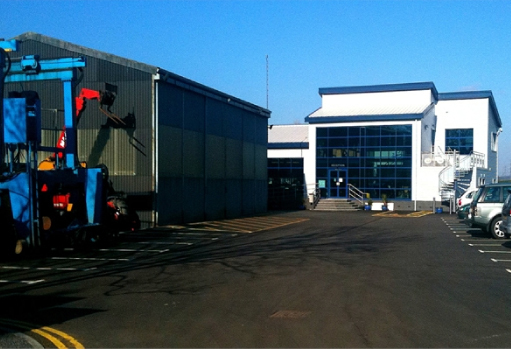 Large workshop facility - The offering at Farndon Marina is well rounded. 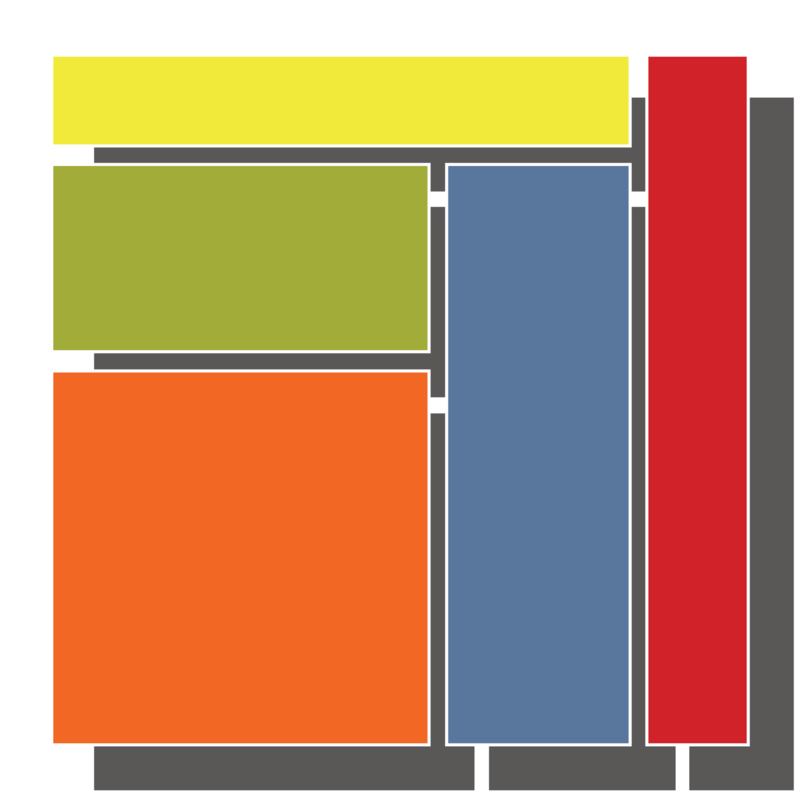 The large workshop allows for the provision of a comprehensive range of repair, installation and maintenance services. 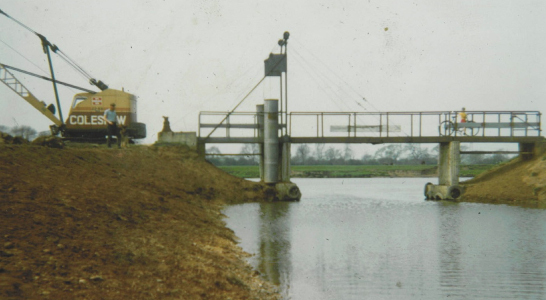 As one of the few privately owned bridges in the UK, the entrance to Farndon Marina is not just a landmark, but a true reflection of the values that have driven the development of this corner of England. 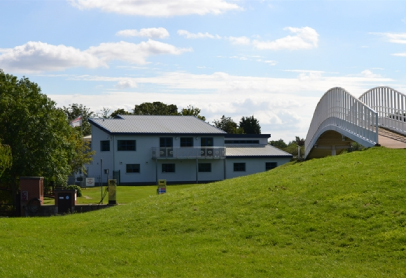 The modern office and chandlery facility at Farndon Marina provide the ideal setting for customers to start their journey around the Marina.